READER PLEASE NOTE: I have pointed out above fatal physics flaws with the design of the instrument and the discovery itself. You may hear an excuse that I have not worked out any numbers to prove my case. Do I have an obligation to do so? Absolutely not. I am not the guy who swallowed $600 million of taxpayer dough. It is those fat cats who should do any drudgery that needs to be done. Continued non-admission of ligo fault (and attendant expenditure of more resources) will gradually transform a matter of collective scientific incompetence into a matter of straight taxpayer fraud. Duping national leaders into endorsing a bogus discovery is not a small matter. It is an affront against the nation. 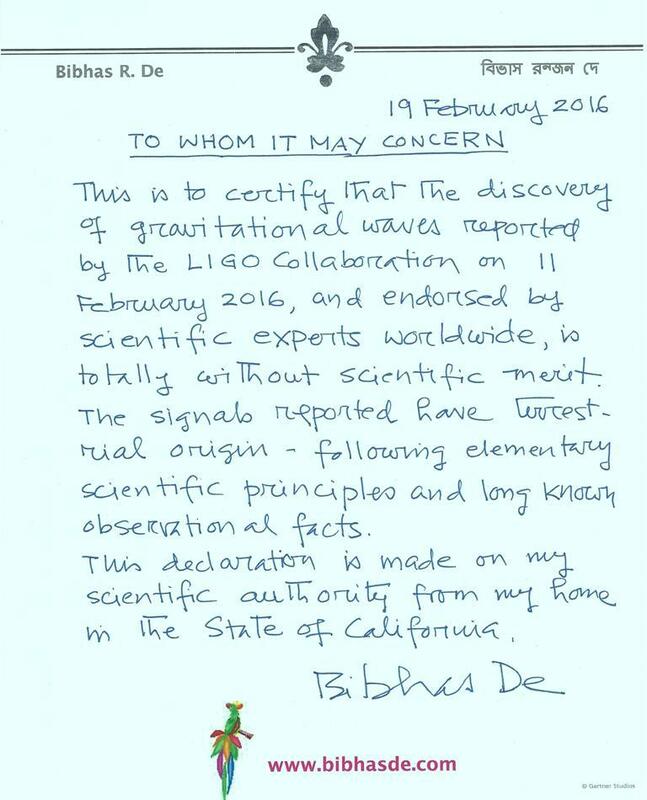 I have informed some key LIGO officials of this post by writing to their official LIGO email address. They stand informed for all purposes. This entry was posted on March 19, 2016 at 10:57 pm and is filed under Advancing physics in the Age of Fakery, Physicists play citizens pay. You can follow any responses to this entry through the RSS 2.0 feed. You can leave a response, or trackback from your own site.